What will your future Instagram feed look like? The Instagram experience has changed quite a bit since it launched around 8 years ago, with millions of new users pouring onto the channel. As the years have gone by, we’ve seen dozens of new features, algorithm changes and updates intended to alter the way we interact on the world’s favorite visual platform. While some alterations have been more popular than others, the team at #IG must be doing something right. After all, the user count ticked over into 1 billion monthly active users in June 2018. The question is, will your strategy for engaging that 1 billion people be the same in 2019 as it was the year before? When it comes to thriving on Instagram, a current grid is a successful one. To help you prepare, we’ve put together a list of some of the most critical trends sure to transform the way you #Gram in the months to follow. Forget flipping your phone onto its side to get a great video – it’s all about vertical now. Vertical video has become a major part of some of the biggest social media channels around today. Thanks to the rise of more “raw” and authentic video options like Facebook Live, and of course, Instagram Live, people online have grown used to watching their videos in vertical mode. Not only that, but the vertical option is way better for the 52.2% of people who do all their browsing on their smartphone. Of course, if you want to be a king or queen of the future Instagram trend for vertical video, then you need to learn how to shoot in style. Even if you work with a team who edits your content with you, now’s a good time to learn the basics. Particularly now that IGTV is set to be a big deal in 2019. The good news? All you need to do is set your phone camera to vertical mode, and you’re good to go. Everyone loves Instagram filters – but did you know that you can do a lot more than give your images a funky sepia tone? A significant theme in the Facebook F8 conference this year looked at the rise of Augmented and Virtual reality, and what they might mean to the future of social media. Though AR and VR for your #Grams might seem a bit far-fetched at this stage, you may be surprised to learn that you’re already using AR on a daily basis. Instagram’s face filters are a great example of how you can have some fun with flower crowns and animations that alter your photos in real-time. To use them, all you need to do is hit the little camera icon in the top left of your screen, then click on the face icon to choose your filter. In 2019, expect to see more brands, influencers, and creators making their own custom filters through the Facebook AR studio. We’ve already seen a few examples of this from icons like Kylie Jenner and Rihanna, who made filters exclusively for their followers to use. For instance, the Rihanna diamond filter promoted both the singer’s annual Diamond Ball Extravaganza and the Clara Lionel Foundation charity. It’s safe to say that Instagram Stories is probably one of the biggest components of Instagram. Ever since it’s launch, the feature has provided companies and influencers with a fantastic way to connect with the hearts and minds of their target audience. Now that Stories have their own ad options, businesses have a new opportunity to raise awareness for their products and services. Taking advantage of Stories Ads does mean that you’re gonna need to invest a little bit of cash into paid advertising. However, if you can afford to splash the money, there’s a chance that you’ll see some pretty great rewards. To make sure that your Instagram Stories ads convert, invest as much time and effort as possible into giving them the perfect look and feel. What’s more, don’t forget to target your ads towards the right people. Instagram, just like Facebook, has plenty of excellent ad targeting options for business users. Casual, authentic stories: Show your human side by avoiding too many filters or highly-produced images. Video ads: Remember, studies predict that video will make up about 81% of internet traffic by 2021. There’s still time to get ahead. 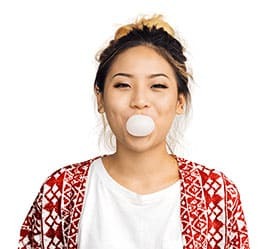 Influencer marketing: Turbocharge your Stories by connecting with the influencers that your customers love. Instagram might not offer native shopping options just yet – but that doesn’t mean that companies can’t make a killing through the right content. 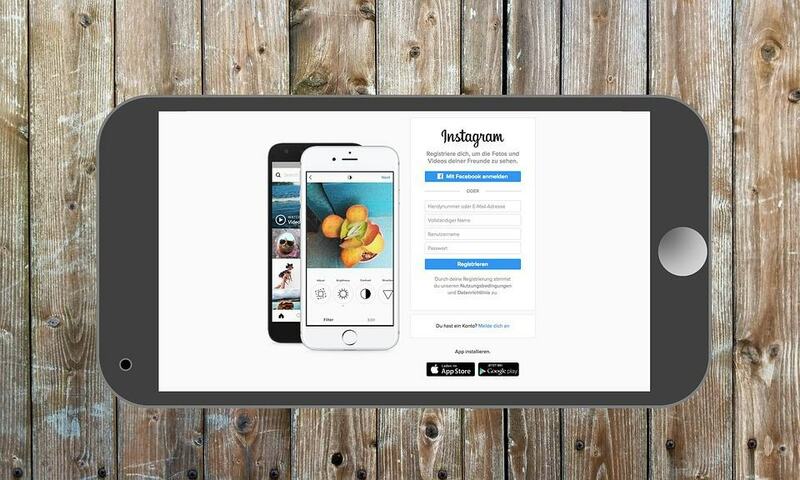 Around 72% of users admit to buying products that they see on Instagram. Now that shoppable posts are available, the chances are that we’ll see an increasing number of sales happening on your favorite social channel. 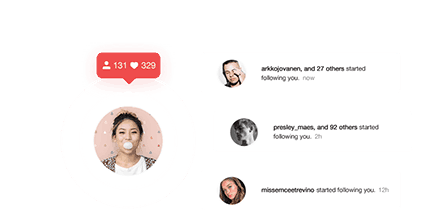 Shoppable posts feature a small shopping bag icon on the corner of the screen. When your customer clicks on the icon, they can find details on the product, click on “Shop Now,” and go straight to the product’s page on your website. Pro tip: While the shoppable posts feature is fantastic – be careful not to over-use it. Instagram may be a place where people are inspired to shop, but people don’t want you to consistently advertise at them. 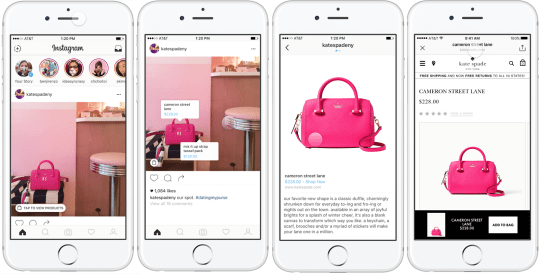 Whether you’re using shoppable posts, or you’re adding shopping tags to your Stories, keep your strategy tasteful. It’s pretty common knowledge that if you want to thrive on any social media channel today – including Instagram, you need to know how to connect with your followers. Get Touchy-Feely with the Emoji Slider: The Instagram Emoji slider is a polling feature that allows you to measure your customer’s feelings on a subject with an angry face, happy face, fire emoji, or anything else you choose. It’s a great way to learn more about your followers and drive engagement too. Answer more FAQs: Constantly dealing with questions from your target audience? Answer their most pressing queries by launching Instagram Stories sessions. This is a fantastic method of showing your customers that you care. Use the Reshare feature: The new “Re-share” feature means that Instagram users can share a post in their Instagram stories that displays the original poster’s username. It’s a great way to cross-promote your content and get more engagement. Finally, in 2019, it’s time to finally say farewell to all the #Fake strategies you’ve been using to gain inauthentic followers. Thanks to the update that Instagram made to its API this year, you simply won’t be able to cheat your way to success anymore. Embed Gifs into your Instagram stories to show your fun and playful side. Use behind-the-scenes videos on Instagram Live and Instagram TV to introduce people to your employees or demonstrate what happens in your life on a day-to-day basis. Respond to customer comments on your content, and like their content in return. Don’t have enough time to develop an authentic Instagram presence on your own? That’s okay, we’ve got the solution to that too! An account on Upleap will give you your very own social media manager to develop your follower relationships for you. We’ll help you make the right connections with your customers, so your Instagram following skyrockets in 2019. Are You Ready for Future Instagram Trends? The most successful people on Instagram always seem to be the ones who know what’s hot. If you can keep one eye on the future at all times, then you’re less likely to miss out on a crucial trend that could take your profile to the next level. You don’t have to take advantage of all the Instagram trends we’ve mentioned above, but don’t ignore them either. The last thing you want is for your followers to see your account as old, outdated or simply out of touch. Need some extra help? Reach out to Upleap today to find out what we can do for you.